If you’ve got your own website, the chances are you’ve heard about https. And if that website is currently HTTP, then you’ve probably been told that you need to change that ASAP! 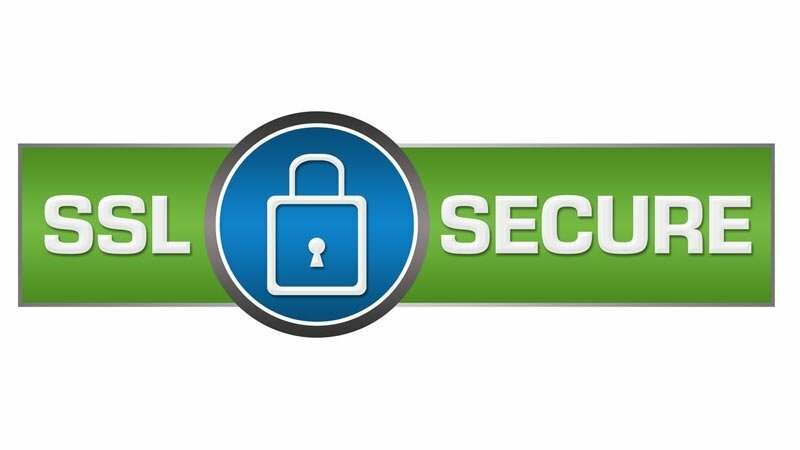 To know why you should switch to HTTPS, it’s important for you to know how it differs from HTTP. Essentially, if you are currently HTTP, communications between users and the website are insecure meaning that any information that you share on the site or actions that you complete can be accessed and used against you. An HTTPS site will encrypt that connection and ensure that your information is only seen by those who need it. “How does the connection become encrypted?” you ask – well, they employ an infrastructure known as an asymmetric Public Key Infrastructure or PKI system and what this does is use two keys to encrypt communication. The two keys are the public key and the private key – anything that is encrypted by the public key is only decryptable when using the private key and the same applies when the situation is inverted. With this being the case, it is important that access to the private key is restricted and only enabled to the owner. Where HTTPS websites are concerned, the private key is safely guarded within the server. A difference that you may not yet have been made aware of is that, as of July 2018, any sites that are not HTTPS will display a ‘Not Secure’ message in Google Chrome search bars. This is NOT a good look and certainly something you’ll want to avoid as it could scare users off and lead them to search elsewhere for another provider of your goods or services to purchase from. Making the switch to HTTPS requires a lot of technical knowledge but it’s certainly doable if you know what you’re doing and have access to all the necessary software and servers. The first step would be to get your hands on an SSL certificate. Once you’ve done that, you will have to activate and install the certificate for it to take effect. You will have to get in contact with your hosting providers and they will be the ones to carry this out. Lastly, it’s vital that you update your site and ensure that all the old HTTP pages are redirected to the new and corresponding HTTPS pages so that users are secure when browsing your site. Without doing this, you could find that users reach the old, un-secured version of your site and all that time and effort on your behalf will have been wasted. If this all seems a bit confusing and you’re not 100% sure of how to go about the site conversion, we can offer you a helping hand to ensure that your transfer from HTTP to HTTPS is smooth and successful. Visit our ‘Contact Us’ page to enquire, fill in the form or give us a call on 020 3006 6889 and we’ll be more than happy to assist you with the purchase of the SSL certificate as well as the site updates and redirects. Back in 2014, Google released an algorithm update that prioritised HTTPS websites in their search result rankings. The algorithms have been continually adapted to benefit secure sites and these days, less than 1% of all websites are SSL certified and around 40% of Google’s page one organic search results feature an HTTPS site. The HTTPS ranking boost could be the difference if the levels of keyword optimization between two different search results are just as good as each other. Essentially what this means is that, if your SEO is equal to your competitor’s website in terms of loading speed, keyword optimisation, content freshness, etc. but your competitor’s website is HTTPS and yours isn’t, Google is significantly more likely to rank theirs ahead of yours. User engagement is a big factor in the SEO success of a webpage. Google assesses how users interact with your website and use the information from this analysis to determine whether other users would want to visit this site or page. If user interactions are deemed as ‘poor’ then this would harm the site’s ability to rank well in the SERPs. As previously mentioned, HTTP sites are due to display a ‘not secure’ message on Google Chrome browsers. This is likely to cause users to leave the site and abandon their carts. Having a high bounce rate and lots of abandoned carts will indicate ‘poor’ user engagement to Google and the site will be penalised accordingly. Ensuring that your site is secure will dramatically decrease the likelihood of your site having a high bounce rate and abandoned carts. Google favours sites that users interact with well so being HTTPS should really benefit your SEO rankings. If you’re looking to improve your search presence and get more traffic flowing through to your site, then Search Engine Optimisation is a service that we offer here at TRON Media. Visit our ‘SEO Marketing’ page to find out more about exactly what it is we do. You can also request a free SEO report from this page to see exactly how SEO could benefit your site in particular.